On this presentation AgileLion Institute, and myself introduce you to Open Kanban. The Agile and Lean Method that enables any Software Development team, IT organization or business to improve their productivity and performance. 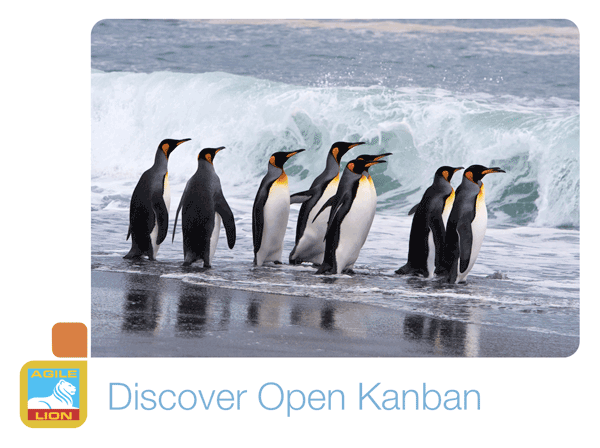 Unlike Scrum, XP or other flavors of Kanban, Open Kanban is an open source method, that is Ultra Light and powerful given it's rich Agile and Lean heritage. We also talk about Kanban Ace, the first Open Kanban Method specifically designed for IT, Software Development an d business. Kanban Ace expands Open Kanban with techniques and advanced frameworks especially designed for IT, Software Development, Product Management and Business. Learn more by registering in one of our Kanban Ace Classes. Kanban Ace is the First Open Kanban Method. Below these lines you can read the whole presentation, or if you prefer you can download it as a PDF by clicking on this link. If you would like to get a full video of the Open Kanban webinar, click here. Improving Scrum with the Kanban-Ace Framework. Our InfoQ Article. © Copyright 2013-2018 AgileLion Institute. Powered by Drupal & Open Source..